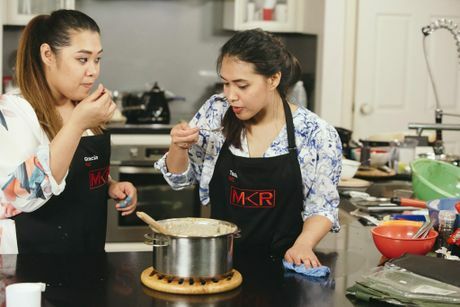 TASIA and Gracia have booked themselves a spot in the next round of My Kitchen Rules by the smallest of margins. 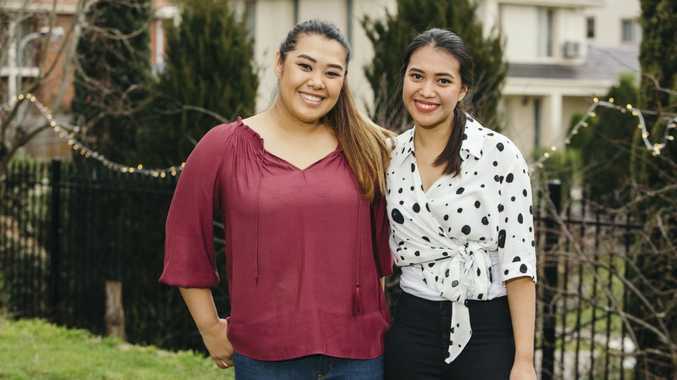 The sisters scraped in ahead of miner diners Alex and Gareth by one point after serving up a three-course Indonesian menu combining traditional dishes with modern additions. Dialing down the spices and flavours in their first dish proved to be a mistake, with the judges urging the girls to serve up exactly what they like to eat. "I think the (satay) sauce is beautiful. I would have loved a little bit more spice the way you do it," Manu Feildel said. "It's a bit bland… I think we're missing that fishy flavour. "If you want to take us to Bali, (then) take us to Bali." At the dinner table, a sudden change in Jessica's attitude put the other contestants into a spin. It failed to win anyone over, with JP and Nelly dubbing her a "walking contradiction". In the kitchen, not even three hours was enough time for the sisters to render the fat on their ribs for the main course. "Mine were cooked to absolute perfection. "For me it's like your first course; one part hit the target perfectly and then the rest just sort of fell away." Unfortunately only a few people around the table got properly cooked ribs, with most struggling to get through the thick layer of fat. The sisters redeemed themselves with their dessert, a family favourite with a few extra touches. "It's perhaps a v unusual dessert for some but perhaps the most traditional dessert of the night, yum," Feildel said. But the black rice pudding and salty coconut sauce divided the rest of the table, with some saying it lacked flavour. The judges' scores were what made the difference, though, putting the sisters one point ahead of the miner diners. Sunshine Coast lovebirds JP and Nelly will host their instant restaurant tomorrow night.